According to legend, ‘Many years ago, a fine young boy, supposedly named Hans Brinker, lived in Haarlem, one of the principal cities of Holland. His father was a sluicer, a man who opened and closed the large oaken gates that were regularly spaced across canal entrances to regulate the amount of water flowing into them. One autumn afternoon, eight-year-old Hans set off to visit a friend who lived out in the country on the other side of the dike. Trudging along the canal on his way home, Hans heard trickling water. He looked up and saw a small hole in the dike and watched a tiny stream of water flowing out of it. Quickly Hans inserted his chubby finger in the hole and the flow of water stopped. 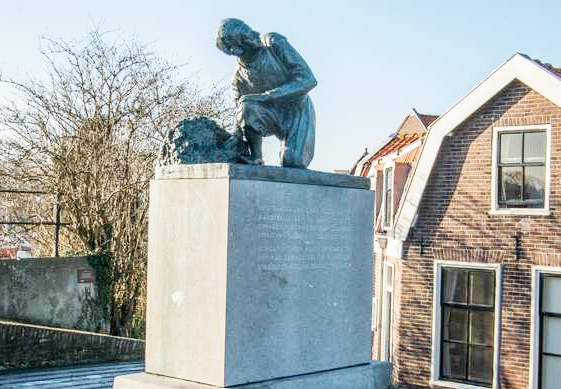 Monument in Spaarndam, the Netherlands, created in 1950, which reads, ‘Dedicated to our youth to honour the boy who symbolises the perpetual struggle of the Netherlands against the water’ (transl). If only Hans had a mobile phone he would have been able to raise the alarm much sooner. Water leaks are, at a minimum, annoying, but at worst, can totally ruin a property. One thing we know about electricity is that once it goes wrong, generally something goes bang and that’s it; over and done with. 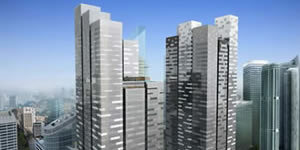 We have breakers in place to protect people and the installation. With fluids, it’s another matter. 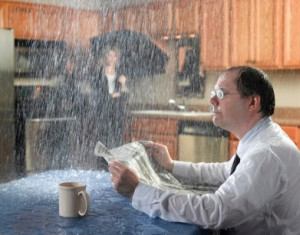 Don’t wait to act before water leaks become obvious. I have a leak – no idea where – but my heating system regularly requires re-pressurising. And small leaks, unless found and plugged, turn into big leaks and eventually property is damaged. On a recent job, a pipe cracked in the plant room, and for eighteen hours, water sprayed up the wall where the KNX control panel was located. Detecting a leak or burst pipe is reasonably straightforward: a pair of wires on the bottom of the plant room floor will create a simple detection system. However, the key here is not the detection, but the signalling. 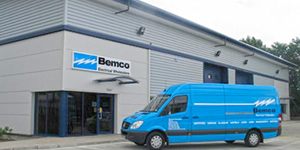 Moreover, the speed and insistence of that signalling is vital to minimising the damage caused. Integrating this type of feature into KNX only truly has benefit if we can SMS a phone, set off a siren or shut down the system(s). This leak detection system from RLE Technologies comprises conductive fluid sensing cable, spot detectors and a wireless transmitter. In a private residence, I would certainly want to set off an audible alarm as well as the text message. For my own peace of mind, I would set up email alerts to myself as a record of the alert. Stopping the leak really means cutting off the main incoming supply to the property. Even then you are still faced with the prospect of any water that is already ‘in the system’ leaking out. Do be sure to mention that to the customer! 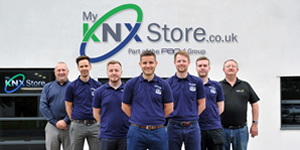 There are lots of options on the market for solenoid valves that can be used on the incoming water main that, with a bit of logic in the KNX system, could be closed in the event of a leak. Flo from Flo Technologies is a very smart device/valve that can test your water system daily for leaks. It does this by pressurising it once a day to test for small leaks. It also learns the homeowner’s water usage profile and therefore can work out when something untoward is happening; an overflowing bath for example, or a burst pipe, rather than a person in the shower. Pretty neat stuff, and of course, alerts go directly to your phone. 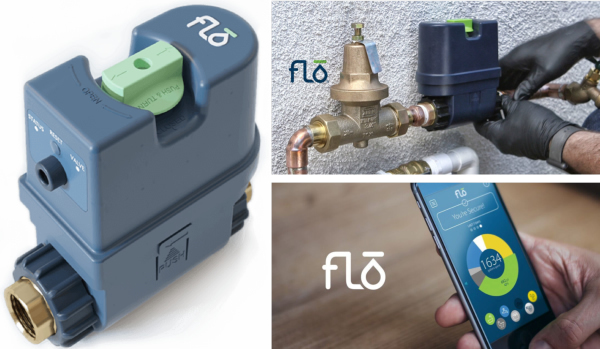 The Flo Technologies Flo system comprises a wireless smart valve and an app. 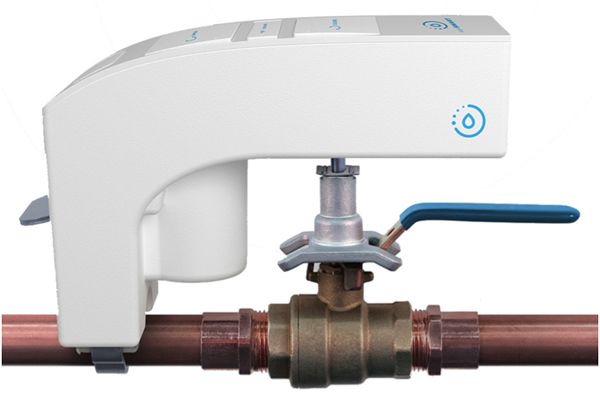 The LeakSmart system has a similar valve coupled with a communications hub. 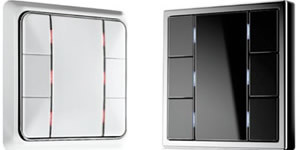 Communications are via Zigbee and can be integrated into any control system that can communicate on the Zigbee platform. These valves have to be cut into the pipework and must therefore be installed by a plumber. However, LeakSmart also showed another valve controller, Snap, that can be added to shut off a lever without the need to cut into the pipes. Currently, in the UK, the main incoming water supply is controlled by a stopcock with a rotary screw-down mechanism, but this is easily changed on new builds. The LeakSmart Snap installs directly on the water main. From there it receives the signal from sensors to automatically shut off the water to the home’s entire water supply in the event of a leak. For me, these two products are where we should be with leak detection. They are accurate, fast, and good for the environment and people’s wallets. One U.S. customer claims to have saved US$750 on their water bill since installing a Flo valve controller. And of course, there are lots of ways to get Zigbee communications onto one of our platforms. 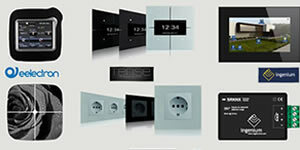 For example, Comfortclick can integrate Zigbee with KNX as well as email and SMS messaging, all on one platform. All you need to do now is find some leaks that require fixing! The value of leak detection cannot be overstated. I speak as someone who has witnessed the London Fire Brigade put out a chimney fire in a neighbour’s home by emptying thousands of gallons of water from the roof down the chimney – the scene on the ground floor was one of utter devastation. A burst pipe might take a little longer, but ultimately, could cause the same amount of damage.